» Get a REBATE on the perfect bundle package Enjoy Ultra Low Rates Bundle Up! 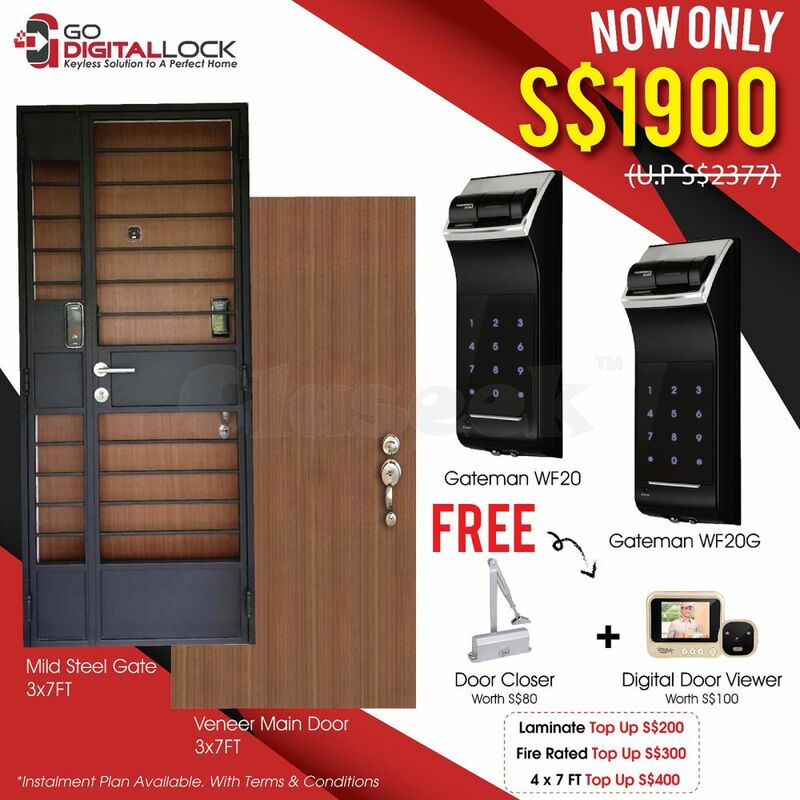 Buy a Mild Steel Gate, Veneer Main Door with Digital Door Lock and get up s$180 worth of free accessories. Seasons are changing, bundle up and get ready for fall. 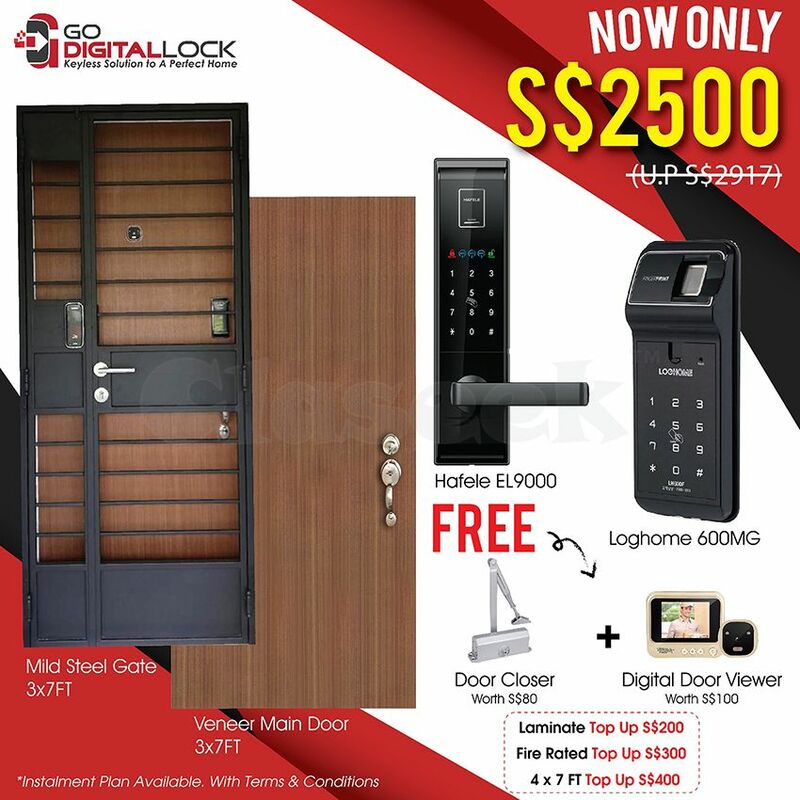 Singapore’s #1 HDB Door, Main Gate & Digital Lock Distributor - widest brands, best prices and service. 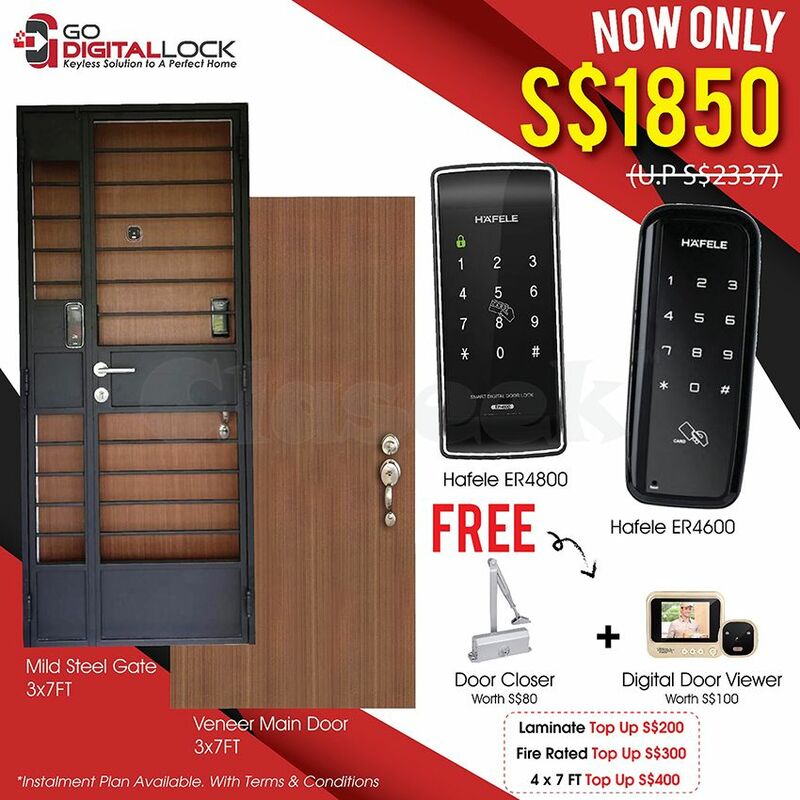 We offer many Fingerprint Door Locks and have expanded our coverage to GATES and Glass Doors.